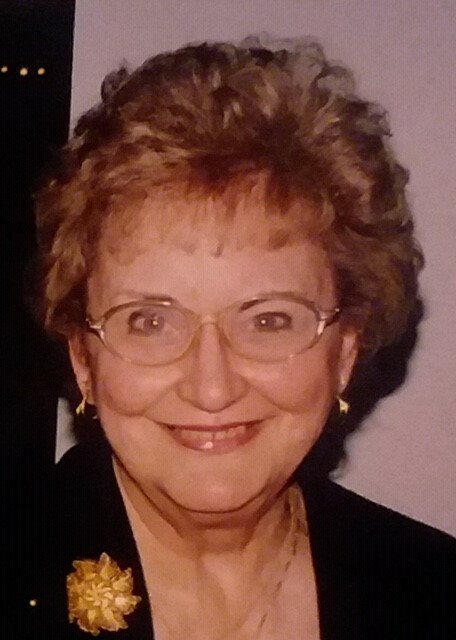 A funeral Mass of Celebration will be held on April 25th at 10:00 am at Saint Dominic Church, for Mary Jean Schuler, 86, who went to be with Jesus on March 11, 2019. Mrs. Schuler was born October 24, 1932 in Youngstown, a daughter of Mary K. O’Dea Wierman and Paul H. Wierman. She lived most of her life in the Youngstown area except for a few years in St. Croix, US Virgin Islands, and then her last years, since October 2015, in Cottage Grove, MN, where she moved near her youngest daughter. She was a 1950 graduate of Rayen High School and attended Youngstown College, School of Business. Before moving to Minnesota, Mrs. Schuler was an active member of St. Dominic Church serving in its Gallery Choir, the Legion of Mary, and the Adoration program, and was an Extraordinary Minister of the Eucharist, visiting the homebound. She was a charter member, Coordinator and Adorer of Perpetual Eucharistic Adoration at Our Lady of Mt. Carmel Church in Youngstown. She had also been a member of the Stambaugh Chorus of Youngstown. Before that, she was a former member of St. Luke Church and Immaculate Heart of Mary Church and their choirs. Besides many other organizations, she had been an active member of the Arion Chorus, the Youngstown Symphony Chorus and served as Chairman of its Fundraising Committee. She was also on the Finance Fund Raising Committee at the National Shrine of Our Lady of Lebanon. She leaves behind her wonderful, beloved family: 5 children, Susanne M. (Louis) Kacsandi of Cortland, OH, Stephen M. (Carmen) Schuler, of St. Thomas, US-V.I., Mary Beth Mavis, of Delaware, OH, Donald J. (Barbara) Schuler of Struthers, OH, and Carol J. (Stevin) George, Cottage Grove, MN, and her treasures, 26 grandchildren, 9 great grandchildren, 2 devoted cats, Louie and Baby, and one bun in the oven! She has also left behind many wonderful nieces and nephews. She was preceded in death by her husband, Stephen J. Schuler, her parents and her sister, Irene C. Ferarra.
. The Burial will be at Green Haven Cemetery. There's still time to send flowers to the Viewing at the Edward J. Fox & Sons Funeral Home from 4:00 PM to 7:00 PM on April 24, 2019.